NeuroLogica Corporation, a subsidiary of Samsung Electronics, is located in the Boston metro area. NeuroLogica develops, manufactures and markets innovative medical imaging equipment for healthcare facilities and private practices worldwide. Established in 2004, NeuroLogica launched its first product, the CereTom® portable head and neck CT, in 2005. It is currently in use in intensive care units, neurosurgical operating rooms, emergency rooms and mobile stroke units. In 2009, the inSPira™ HD portable SPECT was NeuroLogica’s second contribution to the imaging world. In 2011, the BodyTom® was launched, a full-body 32-slice CT scanner for use primarily in the operating room. This system is increasingly being adopted in other areas of the hospital, such as emergency room, diagnostics, brachytherapy and veterinary hospitals. NeuroLogica is a growing presence in the radiology field and is committed to delivering fast, easy and accurate imaging solutions to healthcare providers. In 2015, NeuroLogica became the US headquarters for all of Samsung’s Health and Medical Equipment. Samsung's full range of imaging solutions includes Ultrasound, Digital Radiography, and Portable Computed Tomography (CT). 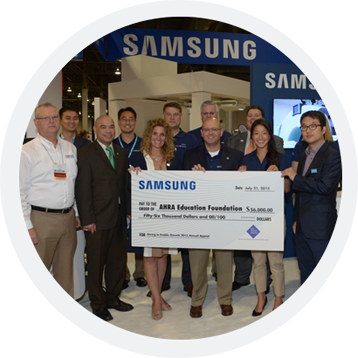 Samsung aims to become a global leader in the medical imaging space and is investing heavily in developing innovative, advanced imaging technologies that will improve the quality of people's lives.